The new crosswalk at Old 63 and Walnut, connecting Stephens Lake Park to Benton-Stephens. The high-tech crosswalk and two blocks of extra-wide sidewalks cost $247,786. Ted Curtis heads up GetAbout Columbia, which uses federal grant money to improve pedestrian and cycling infrastructure. Today the U.S. House of Representatives is debating a Republican-backed transportation bill, which would authorize $260 billion for the next five years. More money would go to highways, but at the expense of stable funding for public transportation, and the elimination of pedestrian and cycling programs. In this Health & Wealth update, among the proposed cuts is a pilot project in Columbia that's responsible for many of the new bike lanes, sidewalks and crosswalks around town. "None of this is good news for urban transit systems, including New York City’s Metropolitan Transportation Authority." Obama's transportation secretary, Ray LaHood, told Politico, "It's the worst transportation bill I’ve ever seen during 35 years of public service." Both of mid-Missouri's representatives support the current bill and its cuts to non-motorized transportation and public transit. "Problem is right now, we don't have enough money to go around, even repair the roads we're driving on much less do those other things," said Congressman Blaine Luetkemeyer, Republican of Columbia. "And so we've eliminated that in our bill." Congresswoman Vicky Hartzler framed it as a federal versus states issue: "We're allowing the states to create their own plan according to priorities important to them, and let the local people give the input into the local officials." Currently, public transportation automatically gets 20 percent of revenue from the federal gas tax. The House bill would eliminate that provision, replacing it with a one-time chunk of $40 billion over five years. 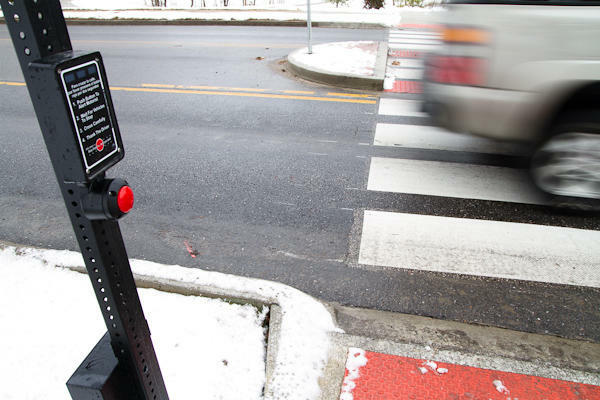 The bill would "consolidate or eliminate" 70 federal programs, including most dedicated funding aimed at pedestrians and cyclists. Among them, the non-motorized transportation pilot program, funded by the last major transportation bill in 2005. Columbia was chosen as one of four communities to get about $25 million for improving walking an biking facilities. Ted Curtis is in charge of the program in Columbia. 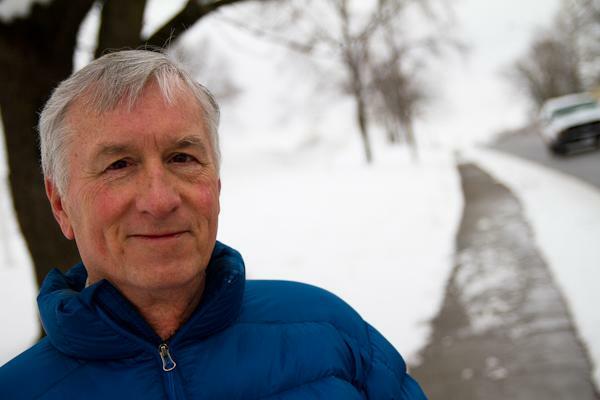 "It's a good investment of federal money because it takes cars off the road, it's less traffic for everybody, better for the environment, and people to get out and have better health too." He said walking and biking have gone up 50 percent since the program began in 2006. Another program on the chopping block is Safe Routes to School, which pays for better sidewalks and the like so kids can safely walk to school. Since 2005, Missouri has gotten over $17 million through the program. Much, if not most, of this went to rural schools and school districts spread throughout the state. "This bill is actually going to have a disproportionately negative impact on people in rural areas," said Tracy Hadden Loh, with the Rails-To-Trails Conservancy, which advocates for biking and walking. In a report published last month, she used transportation department data to evaluate the perception that walking, biking and transit are urban activities. "We found that that was a myth," she said. In many rural communities, like the small town county seats that dot the Midwest, people walk and bike almost as much as city dwellers. "Well, we're still not fans, but on the Senate side, we feel the bill could be improved," she said. "But on the House side, the situation's pretty hopeless." President Obama has a transportation plan of his own. In his 2013 budget released earlier this week, he called for spending $476 billion over the next six years. Obama's plan would increase funding for public transit, to $108 billion.